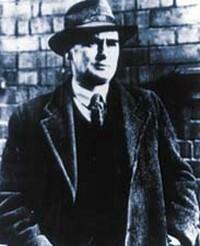 Flann O'Brien is the pseudonym of Brian O'Nolan who was born in Co. Tyrone in 1911. He lived in Dublin with his wife until his death in 1966. A graduate of University College, his career as a writer extended from his student days, through his years in the Civil Service and the years following his resignation. His novels include At Swim-Two-Birds, The Dalkey Archive, The Hard Life, The Third Policeman and The Poor Mouth.